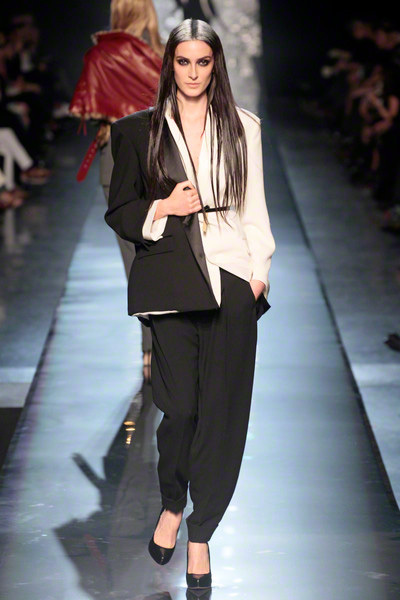 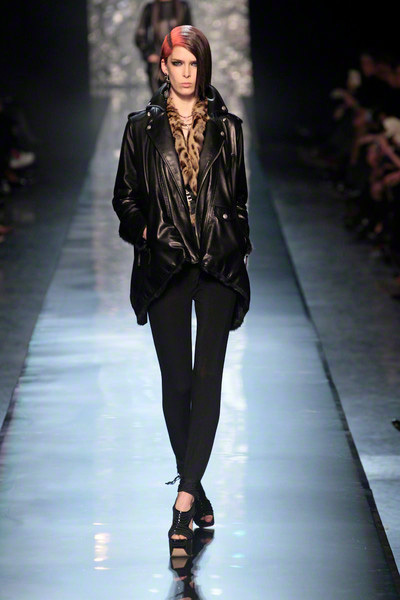 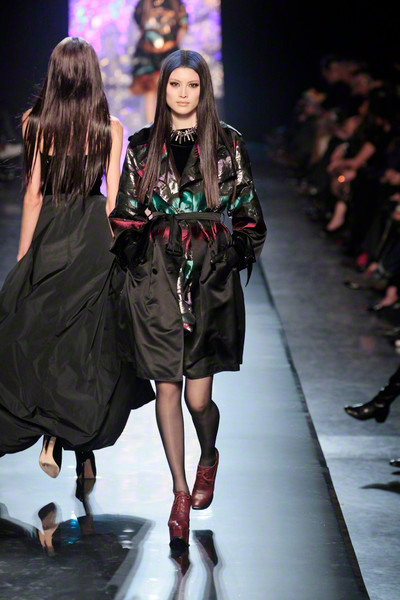 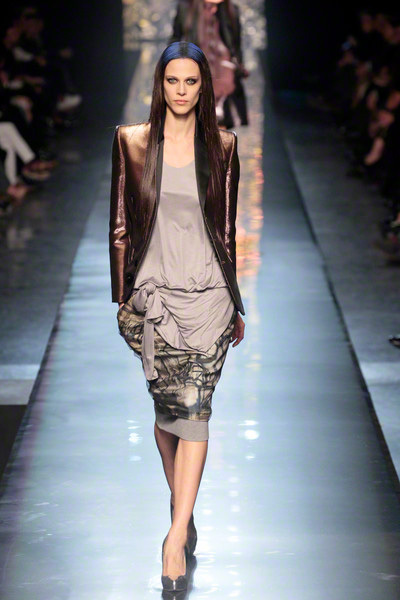 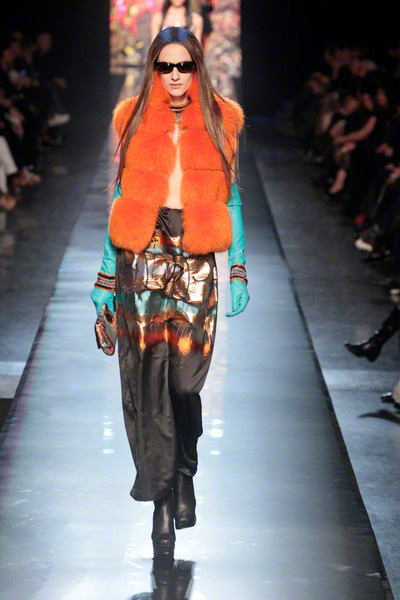 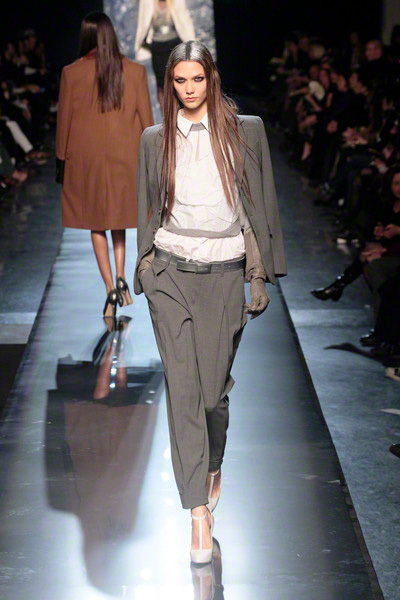 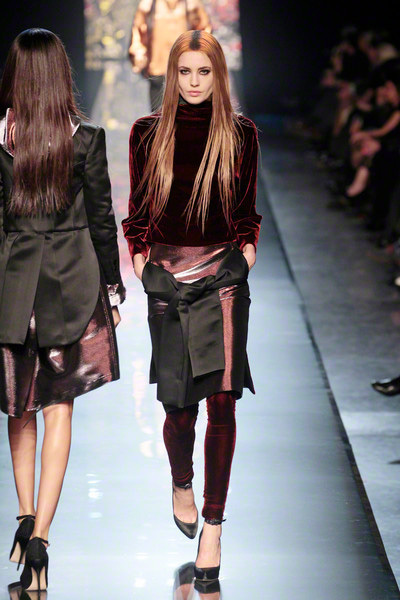 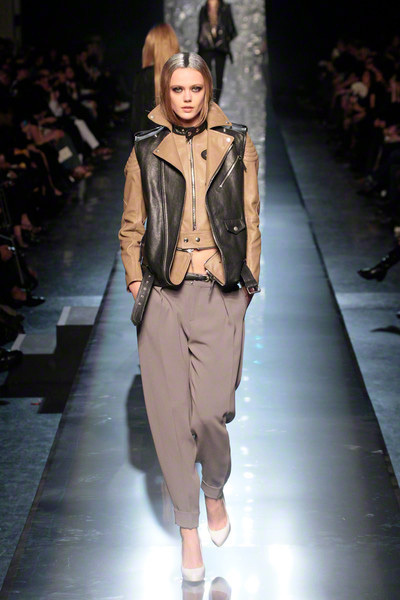 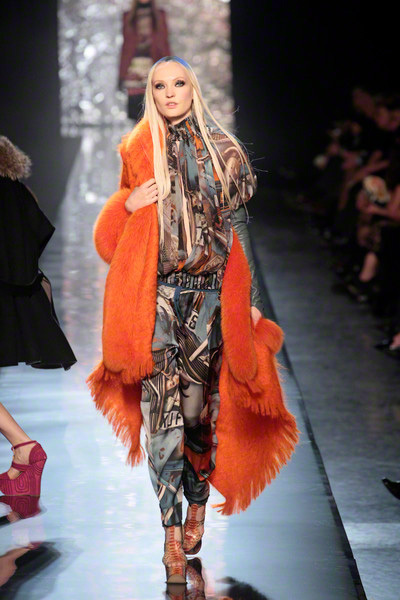 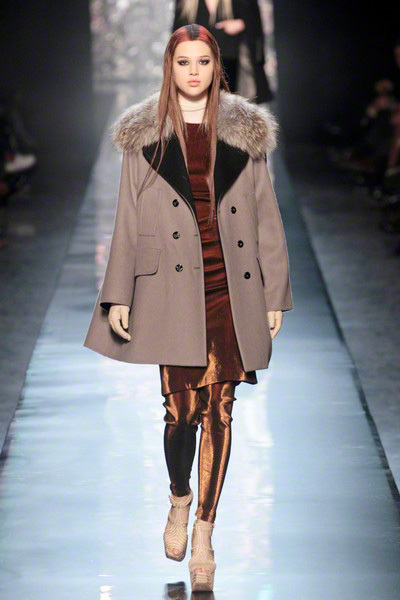 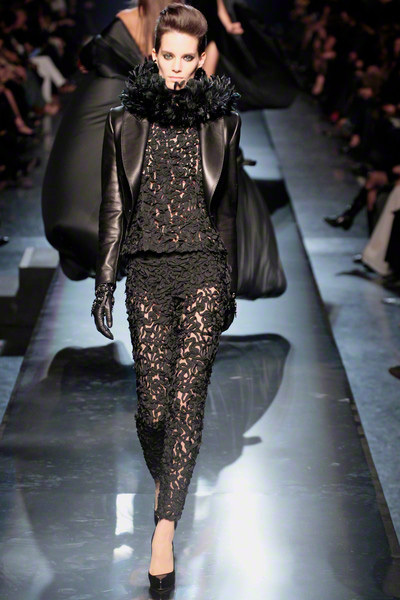 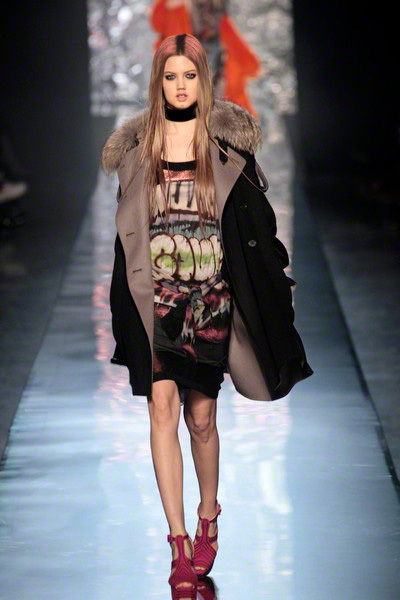 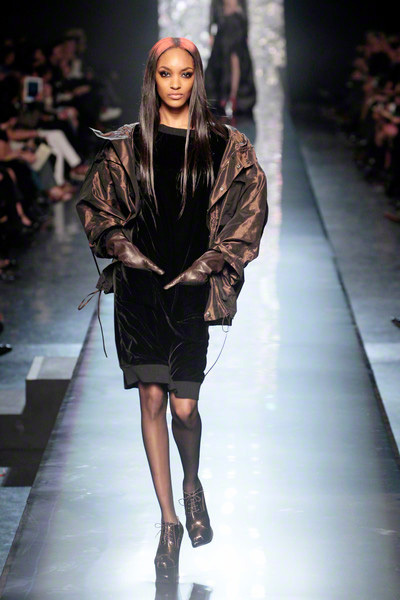 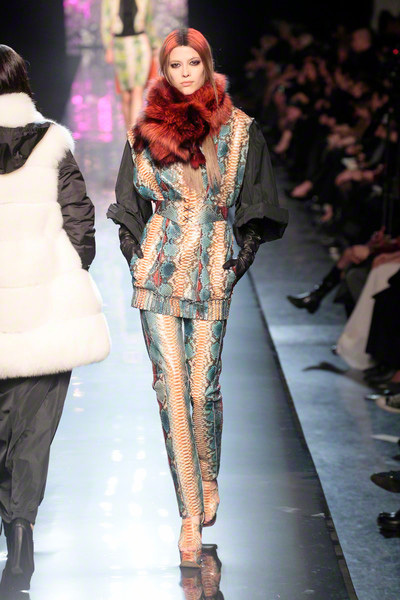 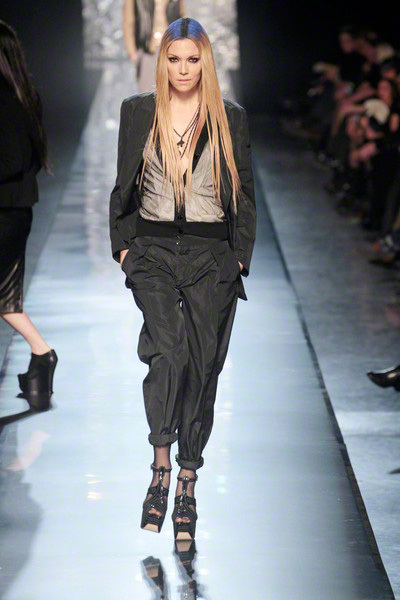 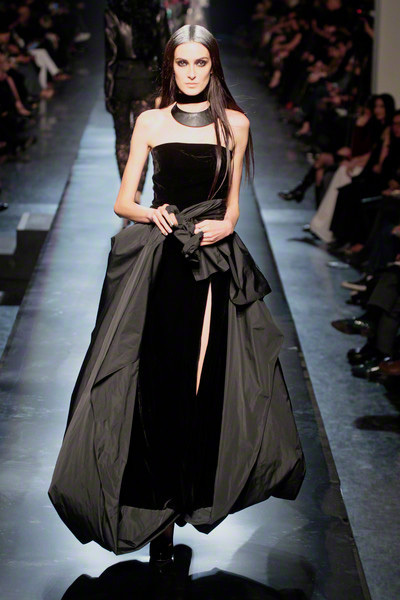 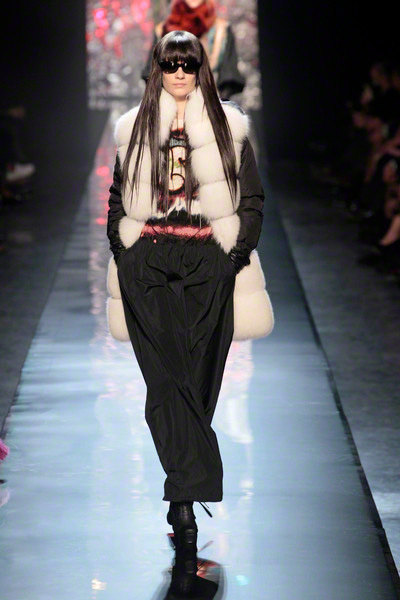 Tough, funky, crazy, grungy, four words to describe the Jean Paul Gaultier that was a little bit of everything. 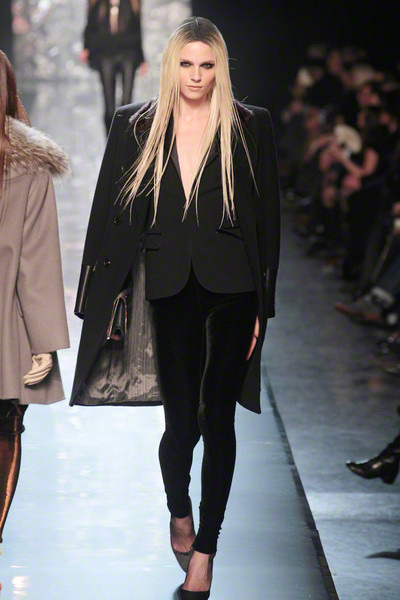 The French artist showed suits, leather jacket, lots of coats and some evening dressed. 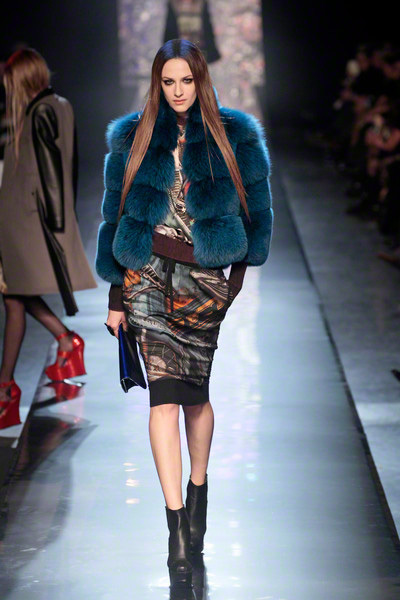 Dark leather looks were followed by bright animal details (snake prints and fur) and later changed into metallic velvet pieces. 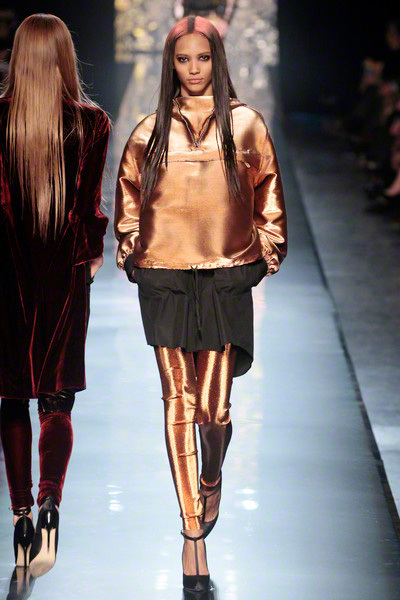 All looks were very much layered. 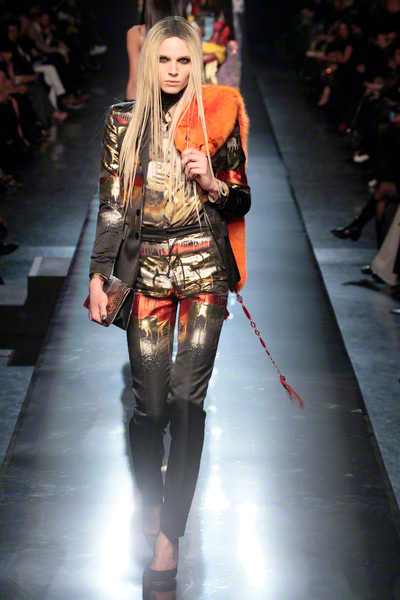 And the strangest clothing combinations popped up. 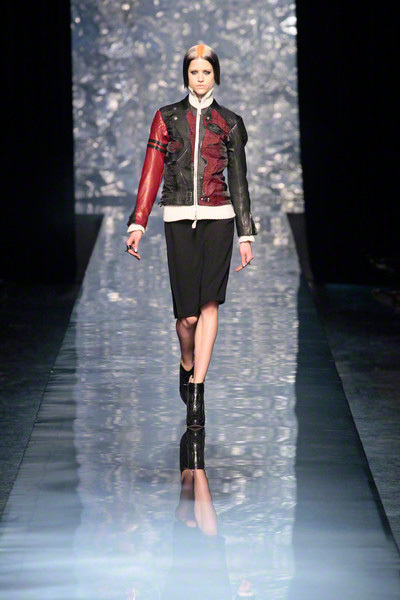 Like a leather jacket worn over a suit, a parka combined with a LBD and his beloved trench coat turned into a skirt. 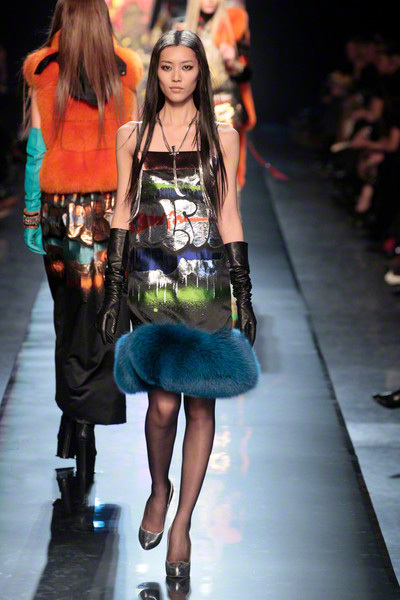 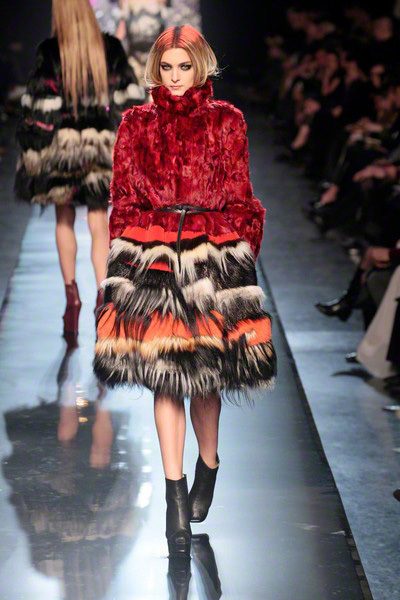 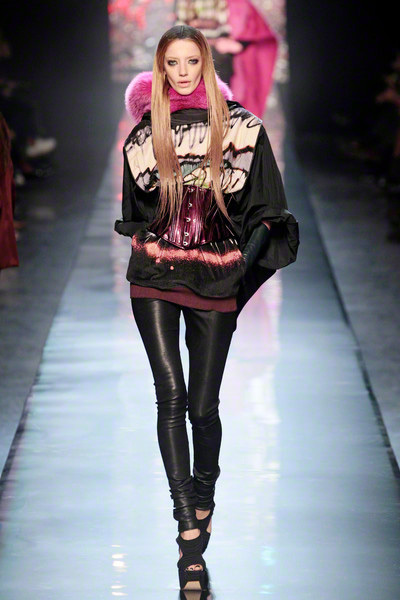 The collection felt young, indicated by the models duo colored hair, graffiti printed outfits and in your face fur. 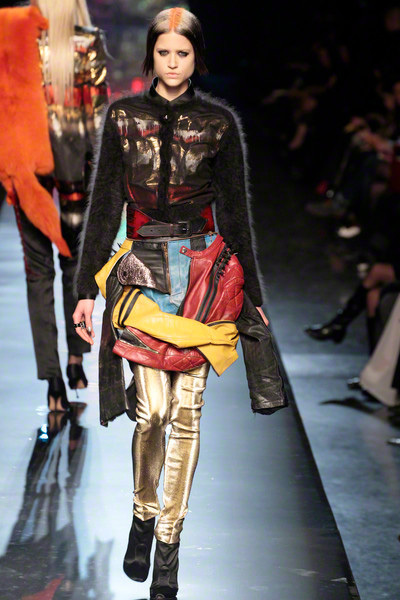 On the catwalk looks might seem a little over the top, but if you leave out the crazy JPG styling you’ll end up with some great, quite wearable show stopping pieces.